Seneca Creek State Park is a 6,300-acre park in Montgomery County, Maryland. The park includes the 90-acre Clopper Lake, boat rental, fishing, canoeing and kayaking, hunting, picnicking, playgrounds, a disc golf course, a restored 19th-century cabin, and cross-country skiing. A tire playground is local favorite for kids of all ages. The 16.5-mile Seneca Creek Greenway Trail follows the entire course of the creek and is available for hiking and biking. Enjoy the following photos and learn more about Seneca Creek State Park. Driving Directions: From I-270, take Exit 10, Clopper Road (Route 117). Turn right at the light, proceed for approximately 2 miles. The park is on the left. Seneca Creek State Park has a unique playground made of recycled tires. Instead of mulch, the ground is covered in pieces of tire. The large playground offers swings, a 'spider hammock, a tire monster to climb on, a zip line and a tire obstacle course. The Lakeside Trail at Seneca Creek State Park is an easy 3.3-mile well-groomed trail that loops around Clopper Lake. This is a suitable hike for all ages and has wonderful views of the lake and woods. Over 50 miles of trails are available for hiking, horseback riding and bicycling and wind through a variety of habitat in the park. Clopper Lake Boat Center rents boats for fishing and recreation during the summer months. Private watercraft are permitted throughout the season. Fish include largemouth bass, catfish, bluegill, tiger muskie, and crappie. Seneca Creek is stocked with put-and-take trout. The Boat Center is open May until mid-June weekends only and then mid-June to early September Wednesday through Sunday, during September weekends only. Picnic areas with tables, grills, and comfort stations are open daily until sunset. Picnic Shelters are available to rent from April through October. Seneca Creek State Park is a nice place to host a large picnic or special event. This dragon is a favorite with kids and one of the highlights of the recycled tire playground at Seneca Creek State Park. A 32-acre, 27-hole disc golf course is located at the Seneca Creek State Park in Gaithersburg, Maryland. Disc golf is played much like traditional golf. Instead of a ball and clubs, however, players use a flying disc or Frisbee. 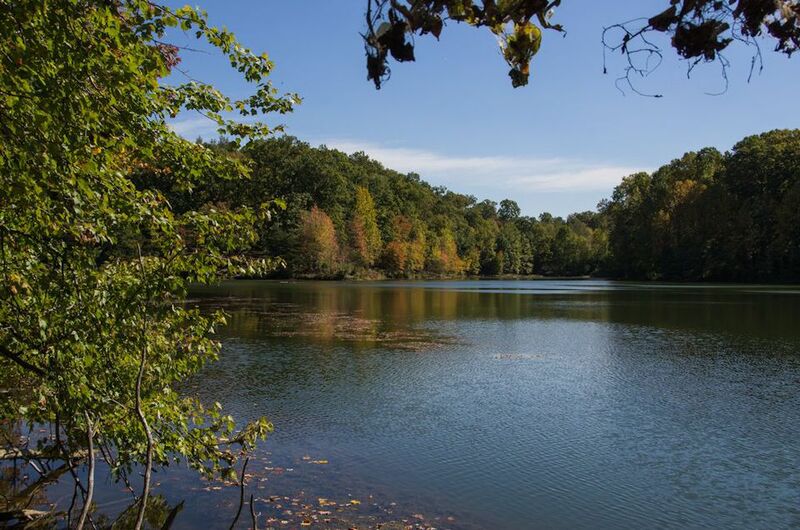 Clopper Lake is a 90-acre lake surrounded by forest at Seneca Creek State Park. The park is one of the region's best kept secrets and a beautiful place to enjoy outdoor recreation all year round. During the holiday season, the Winter Lights Christmas Display benefits local charities and gets the whole family in the spirit of the season. Take a Ghost Tour: Hear Spooky Legends and Folklore in Washington, D.C.